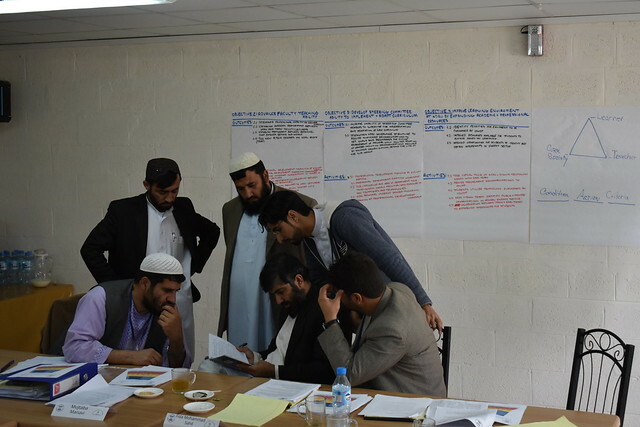 ConDev is partnering with the Conflict and Development Foundation, Kandahar University and FHI360 to develop Afghanistan’s first energy engineering bachelor’s program. With a market-oriented curriculum focused on practical application, this collaboration will enable Kandahar University faculty and graduates to better advise Afghanistan’s energy sector. This partnership is funded through USAID’s Afghanistan University Support and Workforce Development Program. Objective: The goal of the Kandahar University Faculty of Engineering Partnership program led by the Conflict and Development Foundation (CDF) is to improve the academic quality of Kandahar University’s (KDRU) School of Engineering renewable energy program and enhance the employability of its graduates by building the capacity of its faculty and steering committee members, revising and expanding the curriculum, and by increasing the exposure of students to innovative technologies. To strengthen the governance structure, define benchmarks, and develop steering committee members’ ability to monitor and supervise the implementation of the revised program, and; 5) to improve the learning environment at KDRU by expanding the academic and professional resources available to energy engineering students to elevate academic achievement, employability, and access to job markets. ConDev has developed a new KDRU curriculum/policy document and completed a list of recommended textbooks and equipment. ConDev also provided support to two KDRU scholars and provided academic support to KDRU team as they integrated new material and teaching methods into KDRU classroom. ConDev has led several Professional Development Training Workshops for KDRU faculty members, helped coordinate pedagogy trainings, and gender inclusion initiatives. For more information about this program, please contact ConDev Program Coordinator Derek Tobias .